Manufacturer and Sponsor: be quiet! In the arena of the CPU cooler the obvious factor to lower is CPU temperature but with the plethora of dual-tower CPU coolers that currently populate the market size can be a concern for those with less space inside their computer chassis and so this makes way for the top-down CPU cooler. Top-down CPU coolers also called C-type offer a low-profile uniform to counter the problem of clearance and today we will be taking a look at one such product. Shadow Rock TopFlow is a low profile CPU cooler with high cooling performance of up to 160W TDP and very quiet operation. 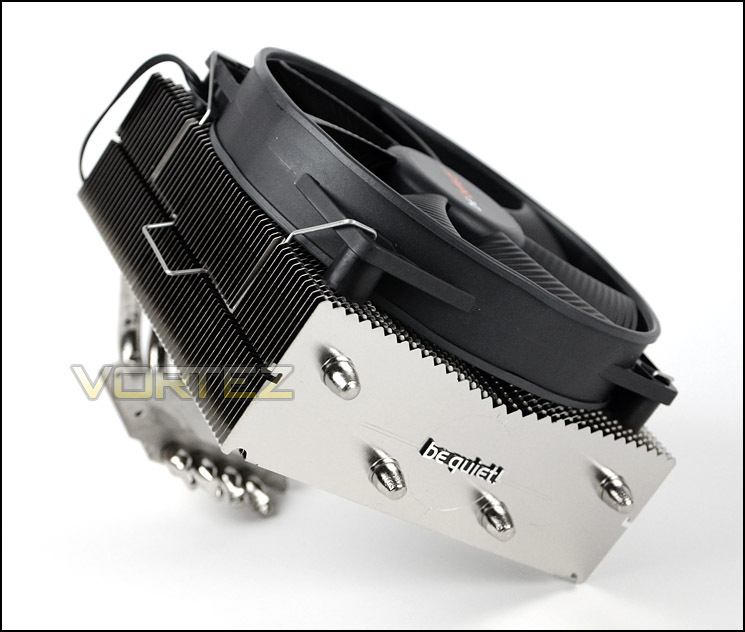 Four wide 8mm heatpipes enable the high heat transference of the space saving cooler. be quiet!’s oversized 135mm Shadow Wing PWM-fan provides the CPU plus surrounding components with plenty of cool air with minimal noise. Even at high fan speed, the Shadow Rock TopFlow guarantees a low noise of a mere 23.5 dB(A) and a high life span of 200,000 hours. The cooler supports all modern sockets of AMD and Intel and comes with a versatile mounting system.